Carotenoids represent one of the most widespread groups of naturally occurring pigments found in fruits, vegetables, and sea products, and serve as powerful antioxidant and precursors of vitamin A. Carotenoids exhibit yellow, orange, and red colors but when they are bound to proteins, they acquire green, purple, or blue colors. The Supercritical Fluid Extraction (SFE) is gaining increasing interest in the last decades because of its suitability for extraction and purification of compounds having low volatility or which are susceptible to thermal degradation. 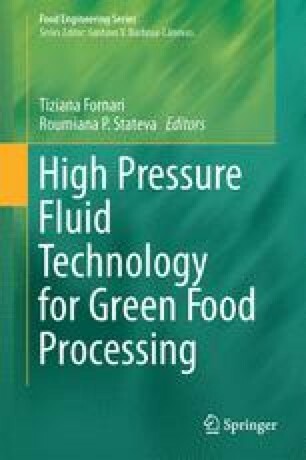 This chapter presents an updated overview on the applications of SFE in recovery of carotenoids from fruits, vegetables, and sea products emphasizing the effects of various process and role process parameters on the extraction yield of these compounds.